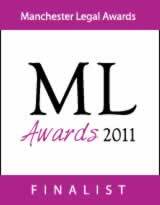 Leading child abuse solicitors Abney Garsden McDonald have been selected as finalists in two categories in this year’s Manchester Legal Awards. The awards are being hosted by the Manchester Law Society and the Manchester Evening News and were introduced to showcase the huge wealth of legal talent in the region. Peter Garsden’s firm Abney Garsden McDonald solicitors in Cheadle Hulme have been representing survivors of abuse since 1994. Peter founded ACAL, the association of child abuse lawyers of which he is now president. 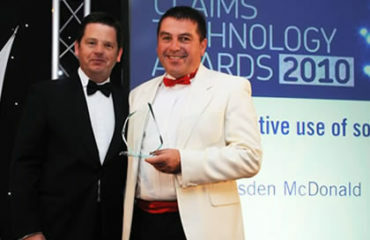 It was the firm’s work with child abuse victims that led to them winning Personal Injury Team of the Year at a separate awards ceremony held in November 2010. Peter Garsden and his colleague Paul Durkin have both been nominated in the category of Legal Aid Lawyer of the Year which recognises outstanding achievement by those representing some of the most vulnerable in our society and whose hard work, skill and dedication are completely under valued. A second category that the firm have been nominated for is the Small Firm of the Year where the candidates must demonstrate, in the context of their size, successful implementation of strategic goals. The winners will be announced at an awards dinner to be held on the 3rd March in Manchester’s Midland Hotel.